Tried it Tuesday and a Mother's Day Craftivity! But seriously, I wish testing was over already. My kiddos and I are exhausted! I also have a bladder infection that antibiotics haven't TOUCHED for the last few days, so hours of monitoring the room and not being able to leave are TORTURE! Another "tried it" is motivating my kiddos! We began our day with Kid Present's Pep Talk (if you haven't heard of Kid President, youtube him now!) While watching we ate our Lucky Charms for Luck on the Test! It has been a stressful but successful week so far! 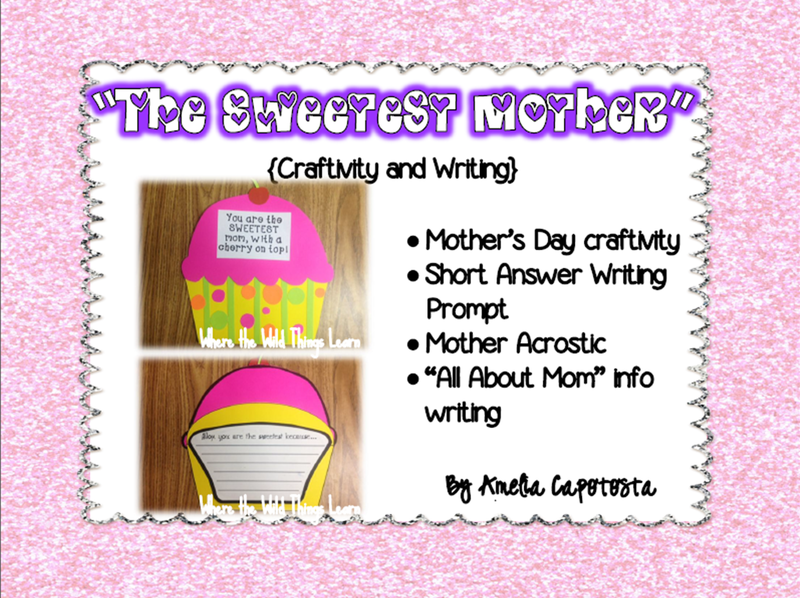 The end of the week will be fun as we are going to begin our "The Sweetest Mother" craftivity! 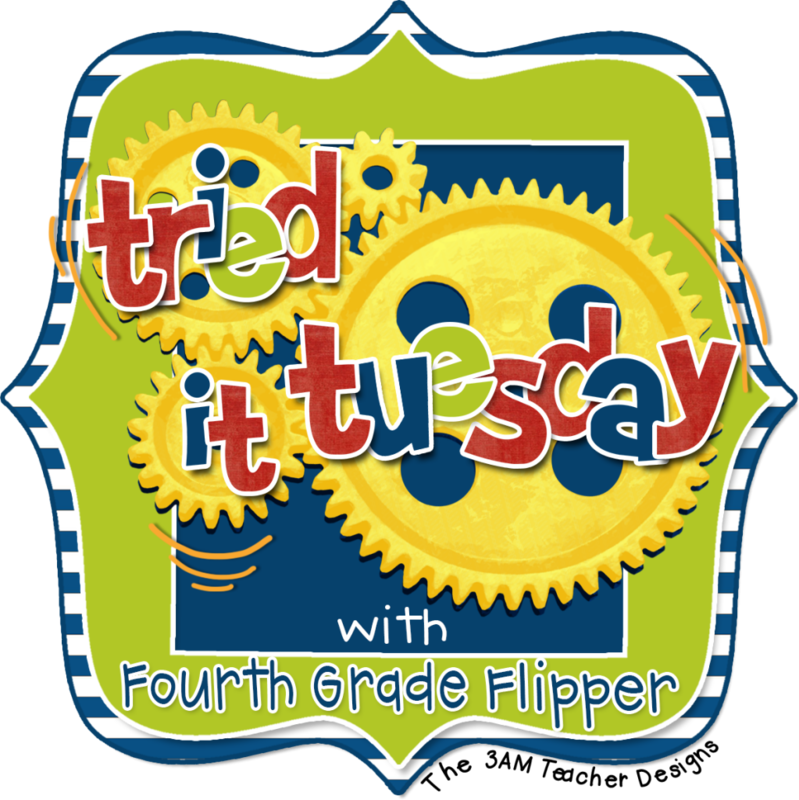 It's a cute, easy craft to make, and lets the kiddos be descriptive! And don't forget about my giveaway! It ends Friday! Thank you so much! I'm so glad you like the craft :) The spaghetti was delish!! I LOOOOOOVE spaghetti squash. Do a search on pinterest and you will get a ton of ideas for it. It's delish! My class and my two daughters are loving Kid President right now - I am so glad I introduced them all to those videos - such great (and funny) messages. Your craft looks adorable. Kid President is totally amazing! My hubs picked lucky #3 so you won the craft! I will be emailing it to you soon :) YAY! Enjoy! I am sorry you are not feeling well...I battled a really bad sinus infection during testing for my kids. It was not fun at all! I just wanted to put my head down and sleep instead of watching them. I love your mother's day great. It is super cute! Thank you for your thoughts and prayers! It is SO tough being sick during testing... I just want to lay down the whoooole time, yuck!! This is so cute! I know my kids would love making it for their Mother's! Ugh. Cranberry juice. I'm not sure I've ever had spaghetti squash. Guess I'll have to try it! Exactly how I feel. I am SO over cranberry juice! Spaghetti Squash is delish-- I highly recommend it! I love the lucky charms and the craft! Your craftivities are the BEST! My kiddos loved the lorax!